Rawr! 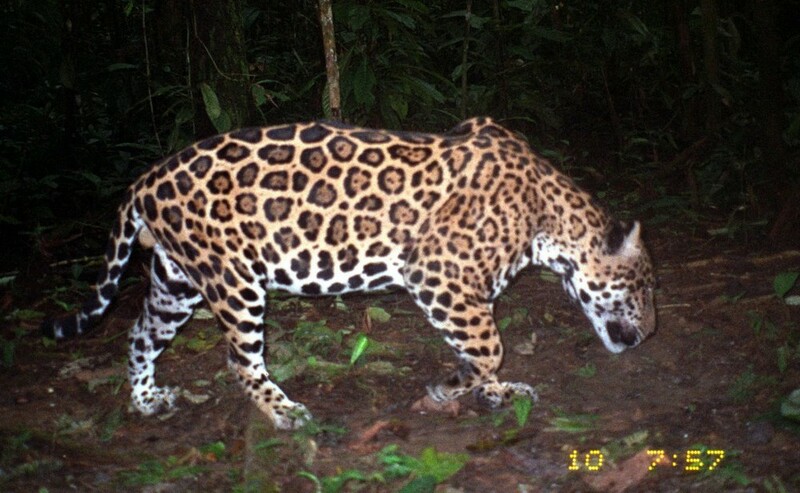 Today's Friday Foto is a pic of a jaguar, caught by a camera trap in 2009 in Machintsaiqui in the Ecuadorian Amazon region. Thanks to Cofán park rangers' efforts to patrol both Cofán ancestral territories and Ecuador's national parks, beautiful animals like these are less threatened by illegal poaching and their forest homes are kept intact. Keep our ranger program going by donating! Newer PostWe've been busy! Cofan ranger course, GIN conference keynote speech, turtle news and more!